Shoes to Fill: Does Your Flight Department Have a Succession Plan? Shoes to Fill: Does Your Flight Operation Have a Succession Plan? Many flight departments are led by directors with decades of experience. They've earned the trust of their teams and they run efficient operations with excellent safety records. But what happens when they retire? "A certain number of people can create high-performing organizations for a short period of time, but when they leave, the organization declines," said Randy Hudon, who ran BellSouth's flight department for many years and has watched four members of his former team go on to become directors themselves. "To sustain a high-performing organization, you have to build bench strength," said Hudon, now president and CEO of Aviation Leadership Group. "You have to move beyond seniority-based leadership and develop leaders who have the skills to sustain the organization." As the flight department gains more visibility and the regulatory environment continues to shift, companies are looking more and more for strategic business leaders who understand aviation, rather than the most senior operations person. Focusing on succession planning is critical to ensure the department has the leadership to be effective into the future. Succession planning is about investing in your people. "It's important to focus on succession planning because it's always best to promote from within," said Sheryl Barden, president and CEO of Aviation Personnel International, a recruiting firm specializing in business aviation. "It provides continuity of culture, values and institutional knowledge." Promoting from within also demonstrates there's room to grow for everyone in the flight department. "You can always go outside and hire good talent," said Kent Ramquist, flight operations manager and chief pilot at American Family Insurance. "But if your people in-house are ready, then you can hand it over to somebody who knows the culture and the operation." Barden points out that promoting from within and looking outside for talent can work hand-in-hand. "If the company does a national search and still chooses the candidate from inside the flight department, that candidate gets a huge validation," said Barden. Aviation directors who excel at developing their people know that there's a lot involved in succession planning. "There's a difference between a succession plan and anointing a successor," said Barden. "Your organization should have more than one person to choose from to fill a vacancy. If you only develop one person and for whatever reason they choose to leave your organization, then where are you?" A succession plan is often a brief document that a company's human resources (HR) department will ask aviation directors to develop. Almost always the plan is not just about who will replace the director, but who is ready to step into each management role within the department, including the chief pilot, manager of maintenance and scheduling manager posts. "We use a form HR has developed to evaluate our people on three areas of readiness," said Ramquist. "Do they have the talent? Do they have the aspiration? And are they already emotionally engaged? We look at that annually with HR because maybe someone has come into focus since last year who we weren't previously looking at." For flight department professionals to be ready for leadership, they need to be continually developing new skills. "The whole key is not just succession planning but development," said Barden. Bill Shaw, Sprint's director of flight operations, agrees: "We have a requirement that everyone on the team accomplish one professional development activity per quarter," said Shaw. A long-term succession plan for all the management roles in the flight department actually begins before team members are even hired. As Hudon explained: "It's about getting the right people on the bus. For example, if you need to bring on a scheduler and your department is weak on financial skills, look for someone with financial acumen in addition to scheduling and dispatch skills." As Shaw sees it, recruiting, professional development and succession planning are all tied together. "Directors have to take a long view," said Shaw. "When hiring a line pilot, consider the skills he or she will need to step up to be the next chief pilot. The next chief pilot or maintenance manager should have the foundational skills to eventually replace the director." There are many different ways to engage aviation personnel in professional development. Among the most common is enabling employees to attend industry and NBAA events, as well as to participate in the Association's Professional Development Program and On-Demand Education online courses. Many directors also work with their employees to create plans for pursuing continuing education, such as an MBA or university aviation courses, or studying for NBAA's Certified Aviation Manager (CAM) credential. Professional development doesn't have to be expensive; Shaw has found that by sending employees to sponsored leadership-training events, nearly the whole department can participate. "In a period of serious budget constraints, you have to be creative," said Shaw. "Many companies have great internal training programs. For example, we have 'Sprint University,' with courses in HR, finance, supply chain management and computer skills." In fact, the most important things a director can do to develop people cost nothing and are available everyday. Ramquist emphasizes the importance of giving each team member "management stretching opportunities," such as working with company staff outside the flight department on a special project. "One of my pilots was on a cross-functional environmental sustainability team, and it gave him great visibility within the company," said Ramquist, who has also assigned one of his pilots to head the department's International Standard for Business Aircraft Operations Stage 2 audit process for 2012. Directors also recommend delegating budget preparation to a scheduler or chief pilot, which gives them the opportunity to work with the company's finance department, or assigning the maintenance manager to work with the legal team on updating the fleet plan. Creating those opportunities is essential to succession planning, because they're the tasks employees will eventually take on when it's time to step up. "Because I've invested in my team's potential, I know I've got somebody in place who can take over without a hiccup," said Ramquist. "I know I can leave the flight department in good hands." NBAA offers several professional development resources that can help your team prepare for management roles and develop their leadership skills, including On-Demand Education webinars , the NBAA Leadership Conference and the NBAA Certified Aviation Manager program. Oct. 2011 – Sheryl Barden, President of Aviation Personnel International (www.APIaviation.com), today announced the promotion of Colleen Kelly to Vice President, Client and Talent Relations, responsible for the retained recruitment of aviation professionals on behalf of Fortune 500 companies and private individuals that operate a flight department with one or more aircraft. “Colleen has been a lynchpin in identifying the best and brightest candidates for our aviation clients—not only from a skill set and experience perspective—but most importantly, from a culture and values fit,” says Sheryl Barden, President of Aviation Personnel International. “She works closely with both Human Resources and flight operations leadership to understand their unique business and talent needs, and often advises our clients on appropriate and competitive compensation packages to attract and retain the level of talent they’re seeking.” A Perfect Match: Bringing API’s Clients and Candidates Together Upon joining Aviation Personnel International in September of 2007 as Director of Candidate Services, Colleen was responsible for building relationships with each candidate in the five key professional areas of business and general aviation: leadership, flight deck, maintenance, cabin safety crew and scheduling/dispatch. “Serving as a catalyst for bringing candidates and clients together, Colleen is an expert in the talent search process,” explains Barden. “She keeps the process alive and fluid for both candidates and our clients, and I’m pleased to promote her into a leadership position at API.” Prior to API, Colleen was a Director at Levi Strauss for seven years where she was a manager of both people and international projects. 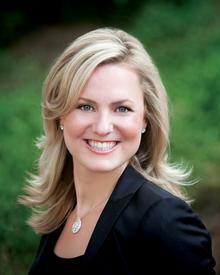 She holds a degree in Marketing and Consumer Behavior from the University of Arizona. For more information about the API leadership team, please visit the API website. About Aviation Personnel International Now celebrating 40 years in aviation, Aviation Personnel International (API) is the longest-running aviation recruiting business, exclusively serving the hiring needs of flight departments in corporate and private aviation. API offers its clients the broadest portfolio of fully vetted candidates, including senior aviation leaders, pilots, maintenance, cabin safety crew, schedulers and dispatchers. Based in San Francisco, the API team combines their extensive aviation knowledge with their expertise in human resources and executive recruiting to provide retained recruitment services, talent identification, staff development and outplacement services for flight departments of two or two hundred. Oct. 2011 – In 1971, Federal Express, Amtrak and more than 25 air carriers, including Southwest Airlines, were considered startups. That was also the same year that Janice K. Barden benefited from her 16 years as a professional aviation psychologist to create her own startup— Aviation Personnel International, the first female owned and operated retained search firm designed exclusively to serve the hiring needs of private and business aviation professionals. “Since joining NBAA as member No. 173, I developed a battery of psychological tests and helped at least two generations of aviation professionals propel their careers forward,” Janice K. Barden, Founder and Chairman of Aviation Personnel International (www.APIaviation.com). I'm especially proud of the hundreds of meticulously vetted candidates who’ve made such a positive impact on private and corporate aviation, making it stronger, safer and more professional. It has truly been a privilege to witness the level of talent as well as the hiring process mature these past 40 years.” On the business/corporate side, today’s aviation organizations are becoming more supported by all levels of the organization—from human resources (HR) and finance to security and risk management. The API (www.APIaviation.com) team builds relationships with aviation and HR hiring authorities. “Not only do we see HR professionals coming to API to tap into our broad portfolio of carefully screened candidates, they rely on us for our four decades of aviation expertise,” says Sheryl Barden, President and CEO of API. “As anyone in the industry knows, it’s a whole different ballgame when a company is faced with hiring an aviation professional who spends a significant portion of their ‘day at the office’ within earshot of top officials—not to mention, they may be required to depart at all times of the day, month and year—including holidays.” For aviation organizations in need of staffing assistance, visit here and for aviation professionals who are seeking career opportunities, visit here and apply to become an API Registered Professional. As seen on the AIN Online website. Sheryl Barden, president of Aviation Personnel International, will be a panelist at the NBAA Safety Town Hall on Tuesday, October 11. The session, set for 9 to 11 a.m. in room N232, will cover ways to develop and train business aviation safety professionals; ways to foster and measure change regarding safety, equipment, data collection and other key areas; and ways to recruit effectively and avoid personnel shortages. San Francisco-based API, which is celebrating 40 years in aviation, claims to be the longest-running recruiting business focused exclusively on corporate and private flight departments. As seen in the San Francisco Business Times publication. Aviation Personnel International has promoted Colleen Kelly to VP, Client and Talent Relations, responsible for the retained recruitment of aviation professionals on behalf of corporate and private companies that operate a flight department with one or more aircraft. She joined API in September of 2007 as Director of Candidate Services.